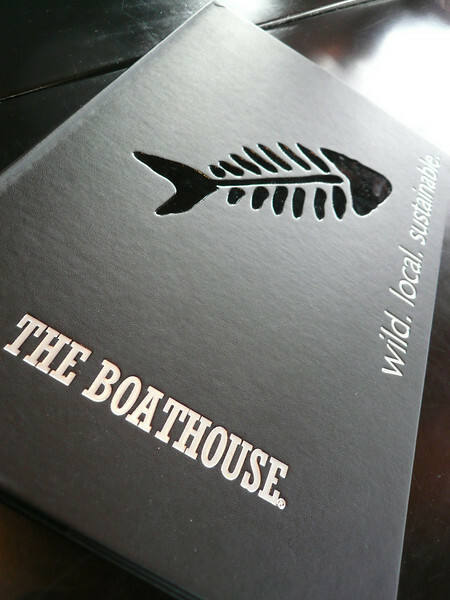 There’s many special things with Boathouse. It’s usually located side by side with the waters, you have a gorgeous view on a nice day. The atmosphere is very serene and you get the feeling that you’re in another part of town. 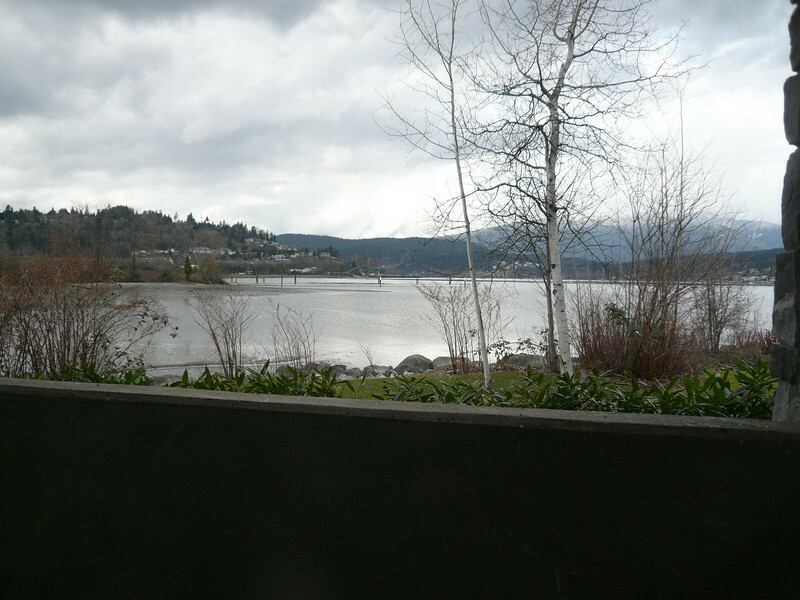 Well, at least this is what I feel when I’m down here at The Boathouse in Port Moody. The view today wasn’t too bad. It’s still “winter”, so it’s still quite gloomy out. You can see that the trees are still bare naked. And today’s not one of those sunny days. My girlfriend and I have been here a few times, but it was our first for brunch! We were here on a Saturday just passed noon, and it was still quiet. Most of the windows seats were taken, but being the smart I am, I always make reservations ahead of time if it’s available. There’s no guarantees, but having a reservations is better than having no reservations. I requested to have a windows seat, and I got one. 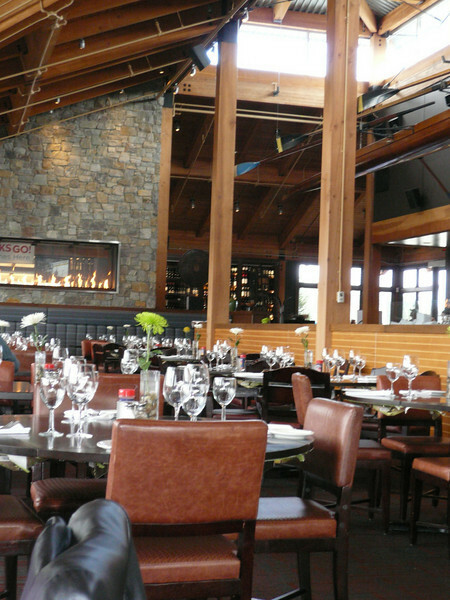 One thing about dining here is that you’re likely to spend more than your average lunch, but they do put more effort on ambiance and surroundings. 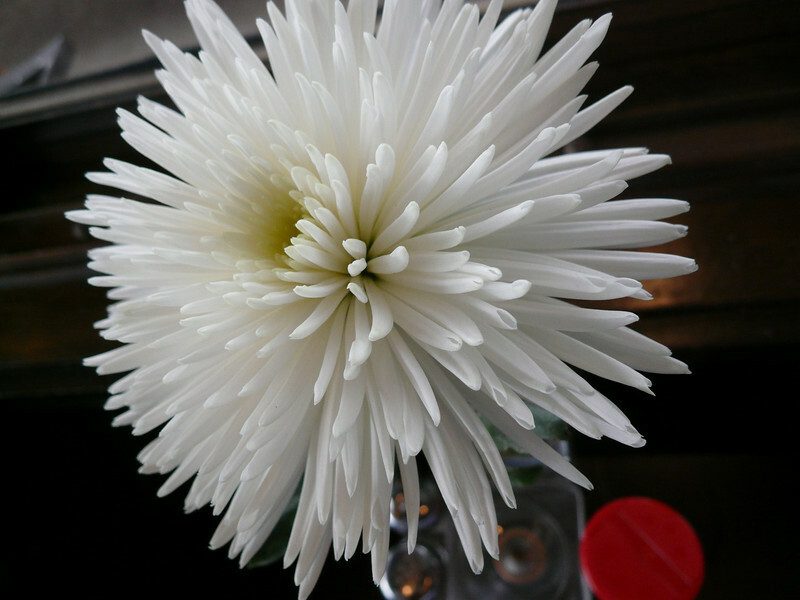 Like this flower, it’s real! And they have one at every table, so it’s probably the reason why you’re paying a buck or two more. We decided to order a lunch and a brunch to share, since it was nearly 1PM when we ordered. It was more like lunch time rather than brunch time. 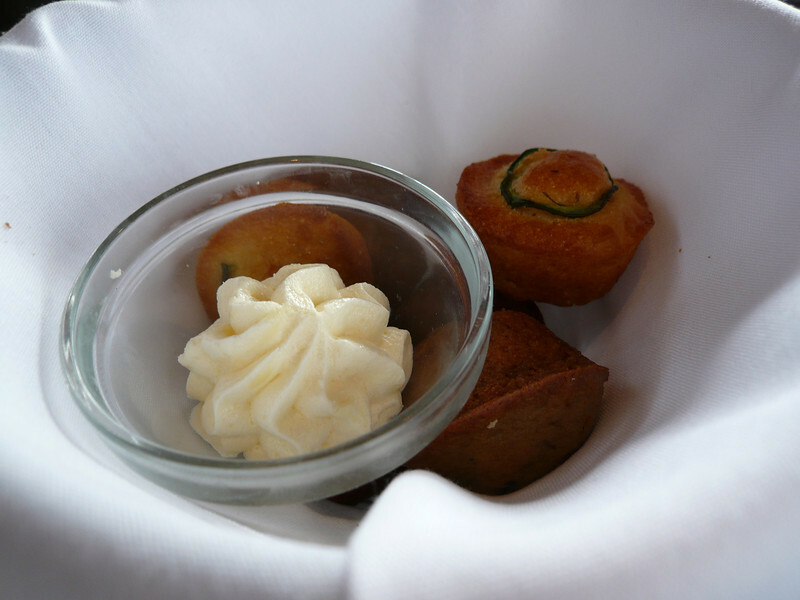 You know that you’ll get bread and butter as appetizers for dinner. But, what about breakfast? I totally wasn’t expecting they would bring an appetizer. But, they did! It was mini muffins in all sort of flavours. There was chocolate chip, blueberry, cinnamon, butter, etc. 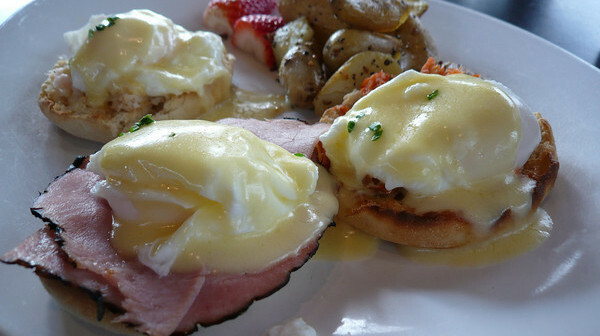 It was a nice way to start my day – warm and tender! They had 4 types of Bennys. 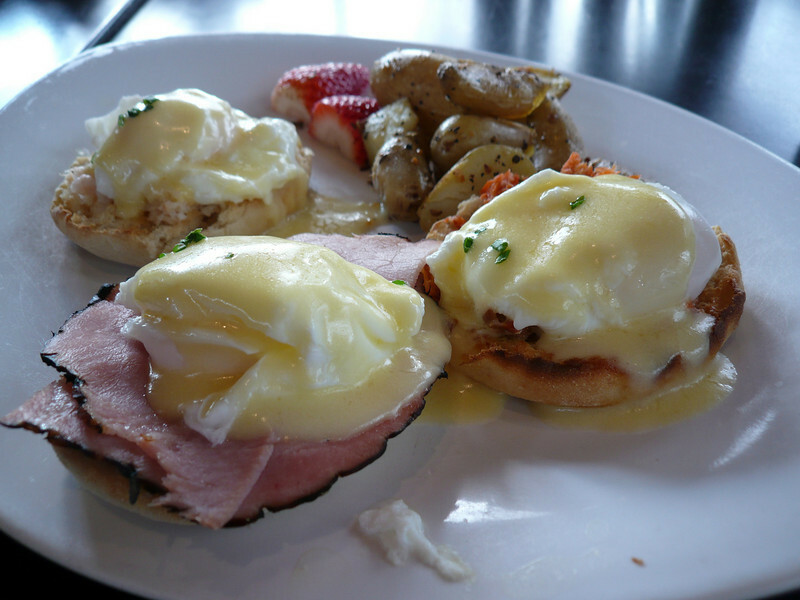 We decided to get the Westcoast Benny Sampler to get a taste of all 3, the last one was a vegetarian benny. One thing special worth mentioning is the potatoes, they were in “poo” shapes. But, these were actually called “fingerling” potatoes. It tasted just like regular potatoes. 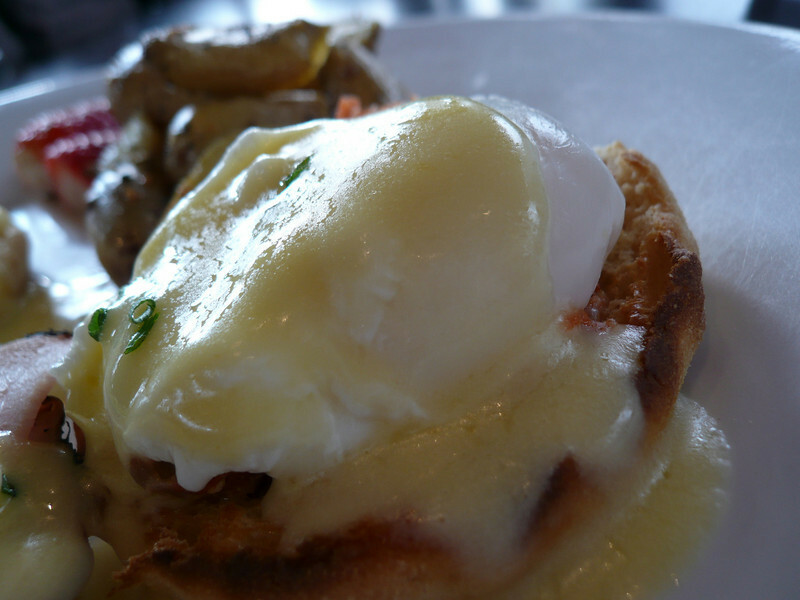 The first was the smoked wild salmon benny. I found that it tasted a little on the fishy side. It wasn’t too bad tasting, but having the fish smell in the morning was just not my thing. This was my favourite, the Classic. 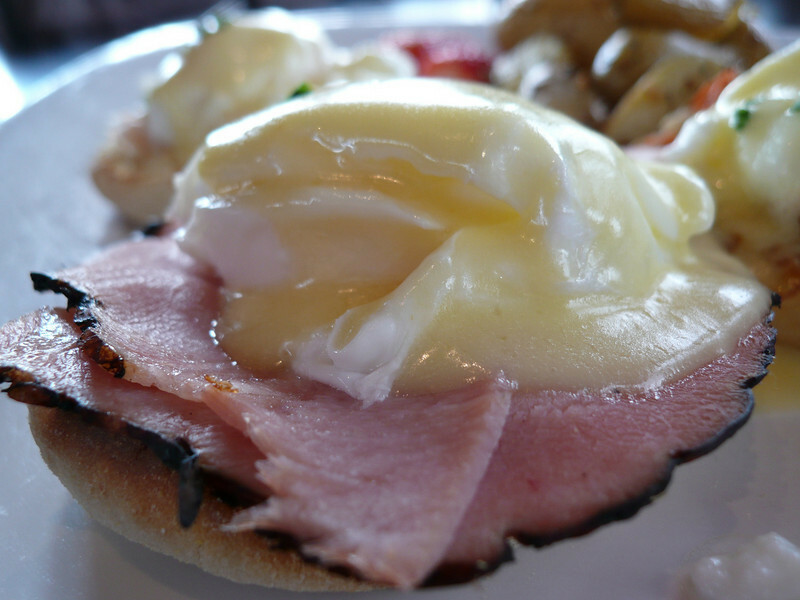 They used black forest ham and it was just perfect. The egg yolk just melted perfectly onto the Benny, which my girlfriend wasn’t too fond of because she’s not a major fan when it comes to egg yolks, especially not fully cooked ones. So, I gave her all my egg white. 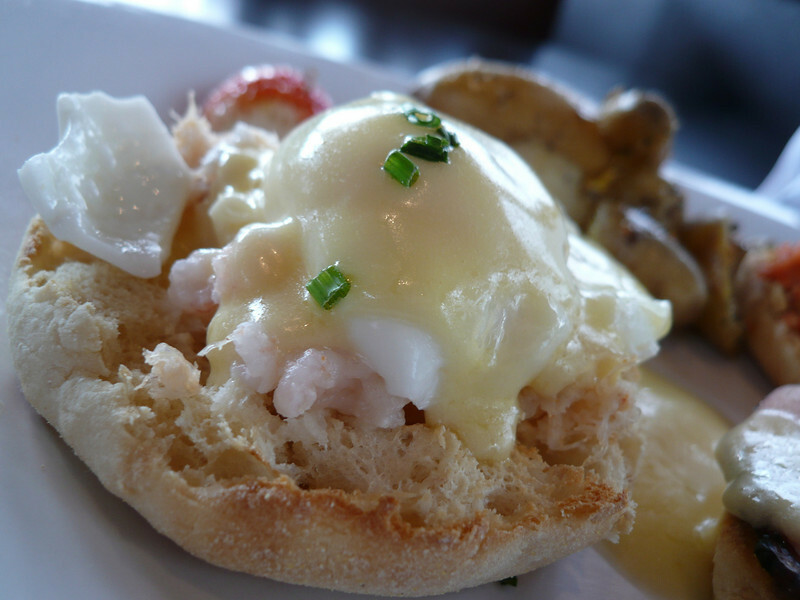 For the last benny, we have the dungeness crab & bay shrimp benny. This was a bit blend, you can’t really taste the crab nor the shrimp. However, you can see it. You know that they didn’t cheat you out. If I were to rate the 3, Classic would be my favourite, smoked wild salmon would come second, and the crab & bay shrimp would come last. I’m not a fan of bland food, if it’s too bland I can get sick! 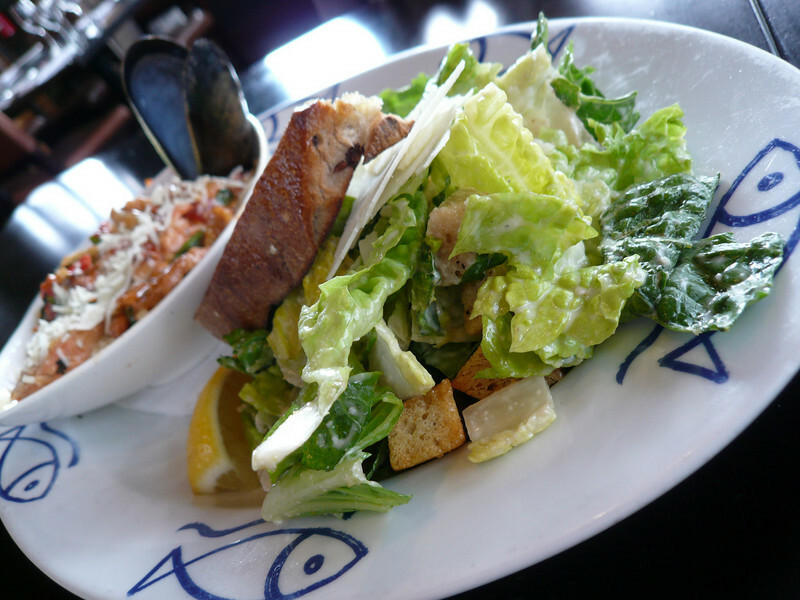 From the lunch menu, we ordered the Northwest Seafood Pasta, which came with their caesar salad. I really want to speak for the caesar salad first. This is probably one of the best caesar salad in town, because they use real grated parmesan cheese. It’s almost a class of its own. They are very light on the caesar sauce, so if you’re looking for a heavy sauce salad, this is not the one for you. 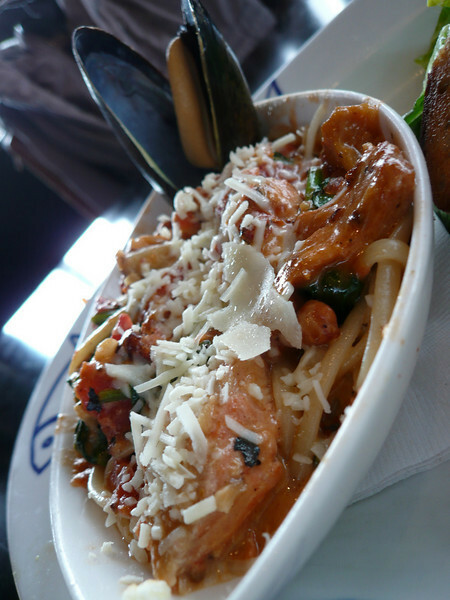 The seafood pasta was filled wild market fish (it may be different every time), but in our case we had mostly salmon. There were also prawns, clams, mussels, spinach, and roasted tomatoes. The pasta is also highly recommended. This was the 2nd time I ordered this dish, it was that good. The sauce was made very creamy and tomato-y. Overall, we paid close $40 including tips and HST. The HST is really the killer of ‘why I want to eat at home’. It’s just a few extra cents each time, but it adds up! The service you get here is top notch. But again, it wasn’t very busy that day. So, our waitress took care of us really well. The view is a plus if you care at all about the view for a nice relaxing morning/afternoon. $20 per person for lunch might be on the higher-end. It’s up to you to decide if it’s worth it. Have a great day. 10 Must-Try Chinese Signatures in 2016 in Vancouver! Port Moody First Annual RibFest!